For any educational institution, the real success is not counted by its revenue or the how renowned are its teachers. But it is depicted through the very success stories of its students. Similarly, our Digital Marketing Institute’s success story also comprises of the achievement of our students. We know that you, as a reader, are aspirational and understand and value the fact that you are empowered to control your own destiny. That’s why we at Staenz Academy do what we do; it’s why we strive to give you the training, inspiration and motivation you need to really grow as an individual and shape your career in Digital Marketing. We’re all looking to be successful in life, but sometimes we are wasting our time doing things that are holding us back from reaching our full potential. I want to share some very inspiring and motivational success stories from Staenz Academy for Digital Marketing. These stories will give you an insight of how any individual from any background, of any age, any gender can learn Digital Marketing and make his or her own story a success story. A homemaker from Nashik City nowadays is known for her hands-on experience in digital marketing skills. A few Months back, she was working as a Computer Teacher in a School. Pallavi got to know about Staenz Academy through internet and then she visited us for an inquiry and also attended the demo session. After interacting with Sanjeev Sir, she gained a lot of information and details of Digital Marketing. She decided to join Staenz Academy for pursuing Masters in Digital Marketing Course. Her enthusiasm and dedication to learning all the modules helped her to complete her course successfully. Within a few months of hard work and unfailing efforts, Pallavi was able to bag many projects as a freelancer. Presently she is having clients for Website Planning and Creation, Social Media Advertisement, and others. She is getting projects and interacting with the probable customers through her website. Pallavi’s journey is very inspiring for many housewives who have the urge to learn and to be independent. A career in Digital marketing helps you to work from home while taking care of your family and work as per your convenience. A 25-year-old hard working girl who has done her Diploma in ENTC is currently working as a Digital Marketing Executive in DEV ENTERPRISES. Her current job profile includes Social Media, Online Product Listing, SEO( Search Engine Optimisation). 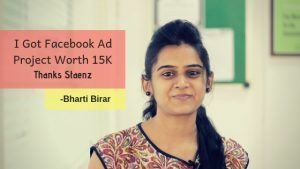 She has done her Digital Marketing Certified Associate course from Staenz Academy and has got this job through placement programme at Staenz Academy itself. Her sincerity and dedication have helped her a lot to shape her career as a Digital Marketer. She inspires a lot of youngsters to look up to career in Digital Marketing. Read more about what she has to say about Staenz Academy here. 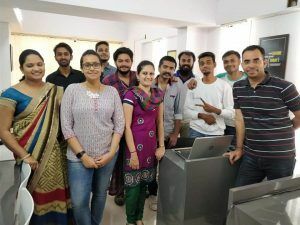 A Computer Engineer from Ratnagiri came to Nashik for a few months to learn Digital Marketing at Staenz Academy. She has 8 years of experience in teaching in Engineering College in Ratnagiri. After completion of her Course in Digital Marketing, She has shifted back to Ratnagiri. In December 2018, she bagged 13 projects for various firms which includes Website Building, Social Media, Brand Awareness, Google and Facebook Ads AND ONLINE PR. She has also registered her own firm “DIGI IMPULSE” – A Digital Marketing Agency in Ratnagiri. Sprooha is a self-made person. Her hard work, passion, and dedication have helped her to leave a mark in this Digital Marketing career. We are very proud of her and wish her all the best for her bright future. Apurva, a 21-year-old internet enthusiast has done his Bachelors in Computer Science from Weber state university, Utah USA. Returning back to India, he had the vision to open a website for assistance in extracurricular activities for people who need guidance. He launched Tinker Bot, which is a chatbot providing information and guidance to seekers who want to explore more apart from there academic studies. Currently, he is also running an online home delivery startup “The Biryani Kitchen“. His idea behind this startup is to provide authentic, tasty and hygienic biryanis to people in Nashik at their doorsteps. 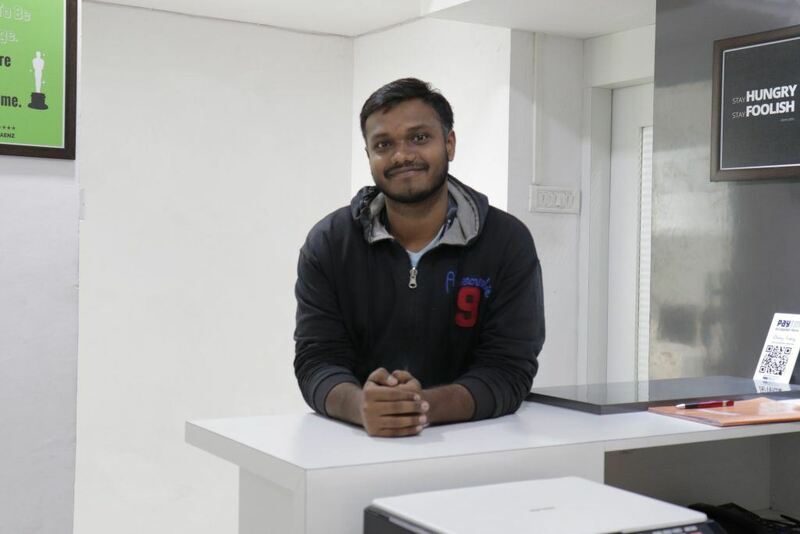 He has gotten an overwhelming response for his startups through social media and his own website, which he has created on his own after learning Digital Marketing. His vision, hard work, and efforts had made him a successful entrepreneur in this growing Digital World. 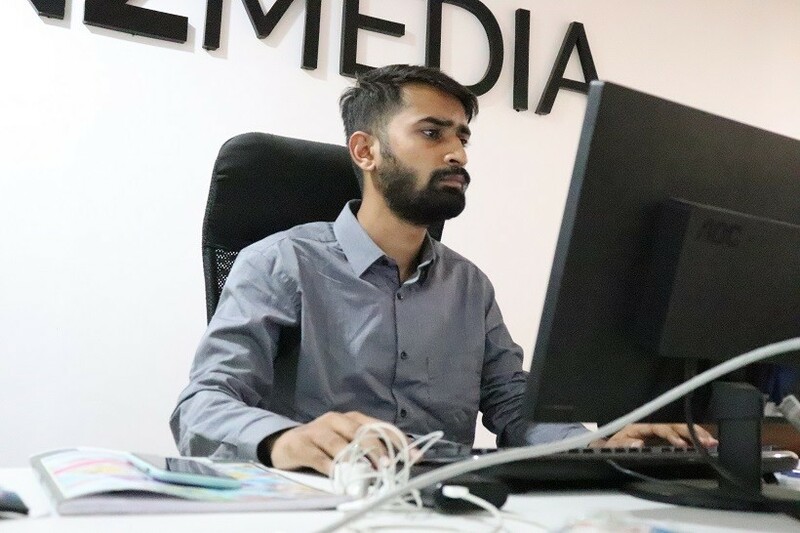 A Degree holder of Diploma in Mechanical Engineering running his own Family business in Shahada, decided to grow his generation old family business digitally and learned digital marketing at Staenz Academy. He shifted his base in Nashik only to learn in our academy. While Pursuing this course he also decided to launch his own website for selling dehydrated foods and spices online. His startup “DEHYDO SPICES” is doing well and getting a good response in the market. Nikhil is a 23 old BBA Graduate, presently pursuing his MBA. After joining Staenz Academy as a student he was offered an internship in Staenz itself. Noticing his excellent skills and creativity he has been offered a job here. 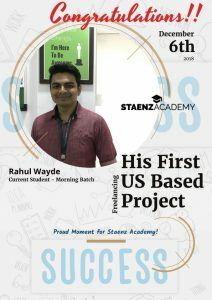 He is working as Social Media Executive for Staenz Academy. He manages posts and updates on all Social Media platforms for our Academy. 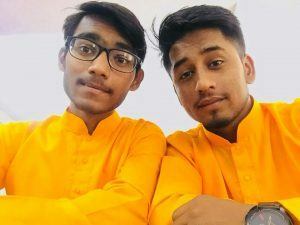 Avinash Durgule and Sahil Shrivastav, Diploma Holders – Digital Marketing Institute’s success story in India. These two friends have a very impressive and inspiring success story to share. 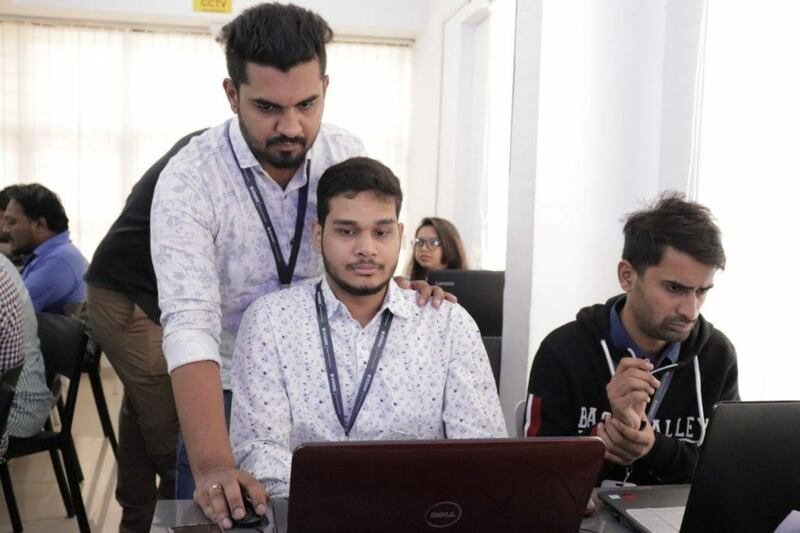 Coming from a vernacular background, Avinash and Sahil have got 16 ongoing projects as Freelancers after completing their Masters in Digital Marketing. Their Projects include SOCIAL MEDIA UPDATES, FACEBOOK ADS, BRAND AWARENESS. Their Website NASHIK DEALS is also doing very well. It includes the best and happening places in Nashik including Cafes, restaurants, salons and pretty deals at these places. Their startup is now having a core team working on their projects and website. Their journey is a inspiration for many people who think only Academic Excellence and Good English can help them to shape their career. They have got projects worth Rs. 2,40,000/- up till now. 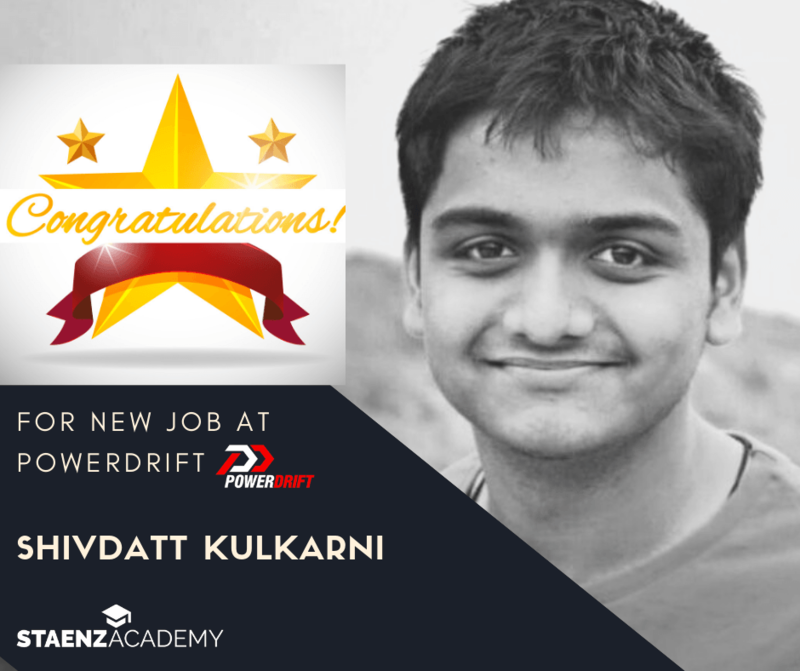 Shivdatt has got his first job in PowerDrift Studios Pvt. Ltd. (PUNE). He is working as a Junior Social Media Developer. Masters in Digital Marketing Certificate and other 16 Certifications which he got at Staenz Academy helped him to get this Job. His hard work, efforts, and dedication have paid off very well and he got such a lucrative offer before completing his formal engineering education. Leena Khatri, a Digital Marketing Freelancer is an independent girl who is dependable and reliable. Coming from a very conservative family, doing a job was never on the cards. 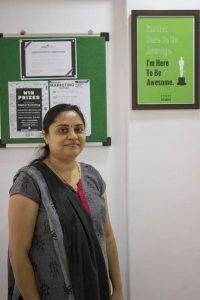 Breaking all barriers, Leena wanted to be independent and make her own identity, so she completed the Masters in Digital Marketing at Staenz Academy. As of now she is getting many freelancing projects and is working from the comfort of her home. She has made it large in her life by getting projects and being a self-made independent Digital Marketer. A 23-year-old, Mechanical Engineer by qualification completed his Masters in Digital Marketing at Staenz. At present, he is working for Staenz Academy as Content and Email Marketer. Who would have thought that someone from entirely technical background can become an efficient Digital Marketer? His interest, hard work, dedication, and positive attitude helps him to achieve his goals on daily basis. Founder of netflyertechnologies, Rahul has done his MBA in information technology. His projects include Website development and maintenance. 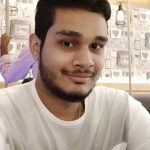 While doing his course in Digital marketing he successfully completed a U.S based project for CASTLE ROCK which included creating an E-Commerce Website, integrating a payment gateway and Social Media. He started his career in Digital Marketing as a Freelancer. 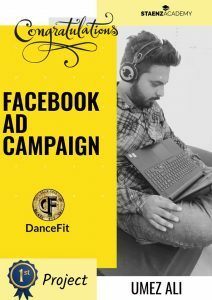 While doing this course he got the opportunity to work for Dance Fit Live. Umez worked on their Facebook and Instagram Ad from Nashik, while the event was organized in Hyderabad. He also ran an Ad campaign for JUMP ( Mumbai based Motivational party). Currently, he is working for TechnoKraft as a Trainer for Digital Marketing along with his Freelancing Projects. Pooja Patel, a digital marketing course student at Staenz Academy got placement via Interviews arranged at Staenz. She has been selected as a Digital Marketing Executive in a Nashik-based company named Softtagies Software. She has done her B.Com in 2018 and has secured a job in 2018 itself. This is her first job and she is gaining a lot of experience and is performing well. Drop out Student of Engineering, Sumeet Pawar, decided to learn Digital Marketing at Staenz Academy. He is a very talented, dedicated, problem solver. He excelled in all the modules he was taught and was offered Internship at Staenz Academy, while he was still doing his course. Last month, he has finished his internship and is currently working as a Digital Marketing Executive for online products. Even though he has not yet completed his Engineering, Sumeet has already kick-started his career. Rushikesh has done his Diploma in Computer Technology a few years back, He has also done a job in Networking previously. He didn’t get the job satisfaction he was looking for. So he decided to follow his interest and joined Digital Marketing Course at Staenz Academy. While pursuing and exploring the scope of digital marketing, he got a direction and started getting projects. Presently he is working as a Digital Marketing Executive at Staenz Media. He also provides assistance to the students doing the course. His positive approach, ever challenging marketing tools and his co-operative attitude at work helps him to get the job satisfaction he always wanted. I feel proud and satisfied to share all these success stories with you and help you to get more information on scope of Digital Marketing. We at Staenz Academy get to meet new people on daily basis and guide them to kick start their career in Digital Marketing. Our Trainer Mr. Sanjeev Mishra has 9+ years of experience in this industry. His teaching techniques are very practical and easy to understand. Under his guidance and training, anybody can be an expert in Digital Marketing. Just in 3 months you can learn all the modules and become a Certified Digital Marketer. We also assign live projects during the course to each and every student, as a result, students get hands-on experience on how to implement what has been taught. After Completion of the Course, you can get a job as a Digital Marketer, you can also get freelancing projects, or if you have a startup plan, Digital Marketing will help you to grow your business online. We also groom our students for interviews, by organizing Mock Interviews and Personality Development Sessions. We have Online Classroom as well as Physical Classroom courses at our Academy. Feel free to drop a comment in the comment section below or call us on 08329505588 for any queries or guidance. In case you are planning to join our Academy, you can also attend a FREE Demo Session.